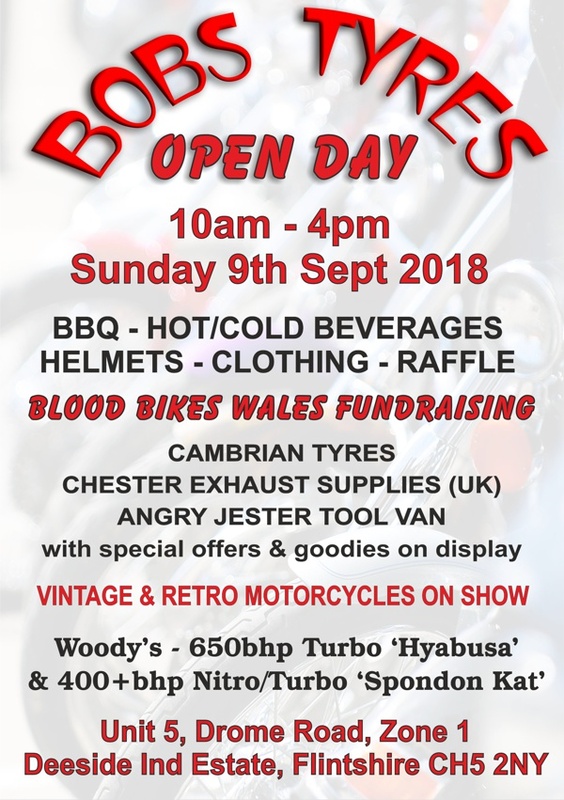 Join us for our next Open Day on Sunday 9th September 2018. All welcome! Details also on facebook, please share to help spread the word! For further information, pop in and talk to one of our staff members. 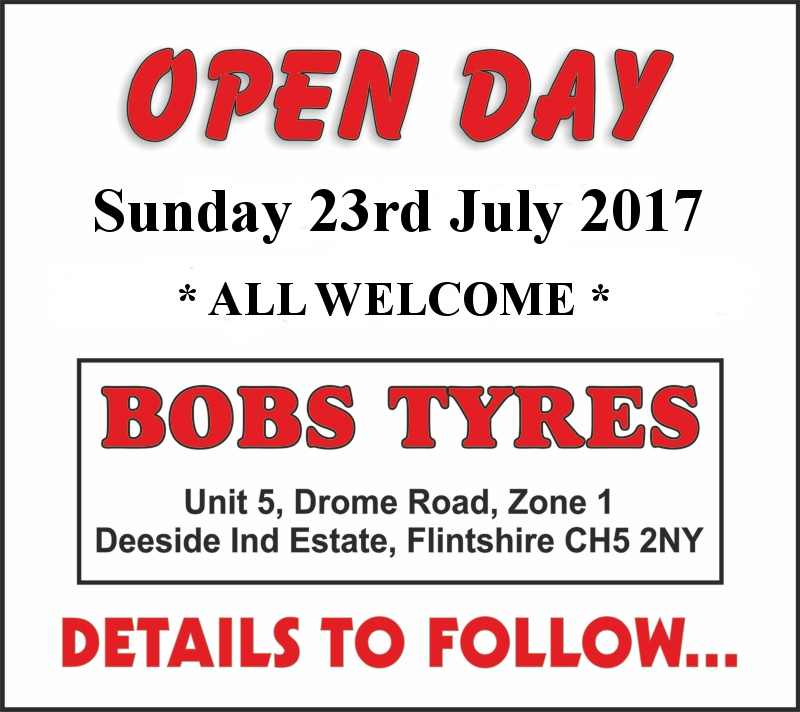 Sunday 23rd July 10am-4pm - All Welcome! Blood Bikes Wales will be fundraising on the day, helping to raise awareness for their fantastic cause. Bacon Butties available from opening with our legendary BBQ from lunchtime onwards. Hot & Cold drinks available throughout the day (see boards for prices). Hope to see you there! Any questions or if you would like to participate in some way, just get in touch! 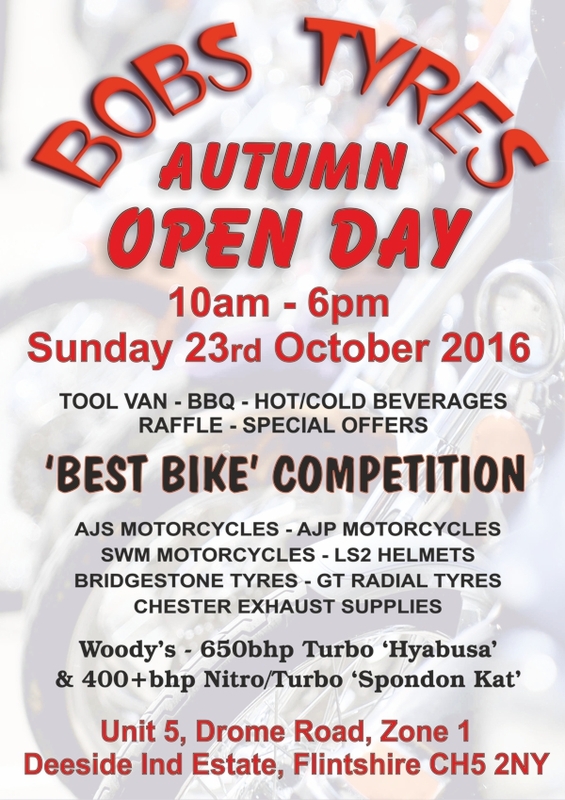 Join us for our next Open Day on Sunday 23rd October 2016. All welcome! Ready for round two? 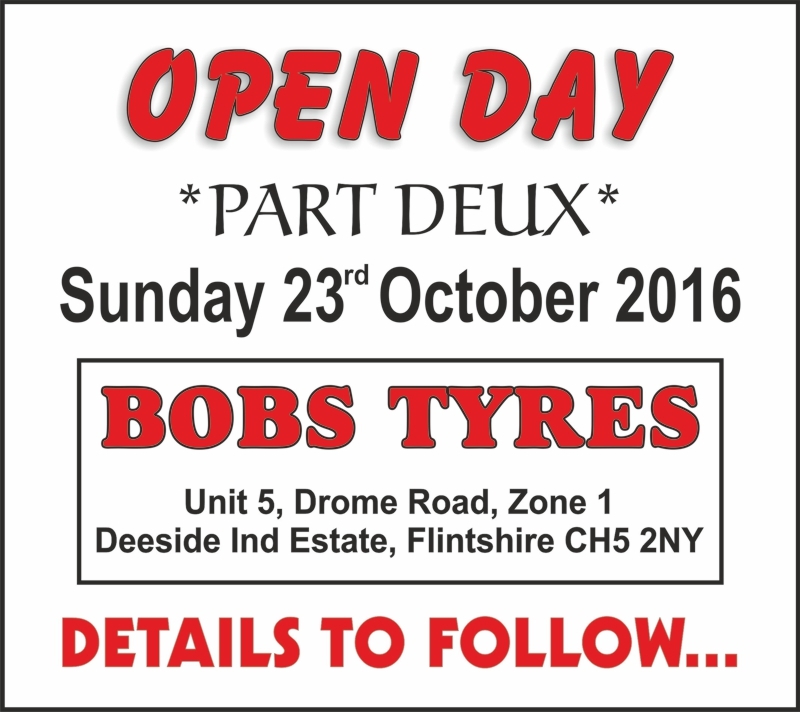 We would love you to join us on our next official Open Day on Sunday 23rd October 2016, full details to follow! It's official, we've now moved premises and are officially opened for business. We're now located at Unit 5, Drome Road, Zone 1, Deeside Industrial Estate, Flintshire, CH5 2NY. Same telephone number/email address, same great service! We would love you to join us on our official Open Day on Sunday 24th April, full details below or please visit our facebook page for more info. Join us in celebration of our expansion and relocation! Sunday 24th April 2016, 10am-6pm Lots going on including hot & cold food, raffle and more. ALL WELCOME! We really look forward to you joining us. 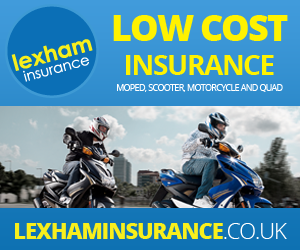 We are pleased to announce we are now offering finance on all bikes, new and used. Call in and ask for more details or give Bob a ring on 01244 289429. Phone 01244 289429 to book. If you're involved in a non-fault motorcycle accident, before you call your insurer, call Bob's on 01244 289429 to find out how we can help. FOR THE FIRST 200 MILES, NEW TYRES SHOULD NOT BE SUBJECT TO SPEEDS IN EXCESS OF 60MPH, FIERCE ACCELERATION OR BRAKING. SPEEDS MAY BE INCREASED PROGRESSIVELY AFTER THE INITIAL RUNNING IN PERIOD. AFTER A PERIOD OF 200 MILES, BE SURE TO RE-ALIGN YOUR WHEELS, RE-ADJUST CHAIN TENSION AND BRAKE TOLERANCES, ENSURING ALL NUTS AND BOLTS ASSOCIATED WITH WHEEL REMOVAL REMAIN SECURE WITHIN RECOMMENDED TORQUE SPECIFICATIONS.